In the final season of Charmed, we are introduced to the character of Billie, who is a young witch eager to take on demons and excited to have the Charmed Ones as her mentors. We find out that Billie has a complicated past, however; and has unresolved memories about her older sister, Christy being kidnapped by a demon when they were children. We later learn that former villains, The Triad, are responsible for this and have been training and raising Christy to be an unstoppable force of evil. The Triad anticipated that sister witches could be the ultimate power to take down the Charmed Ones. 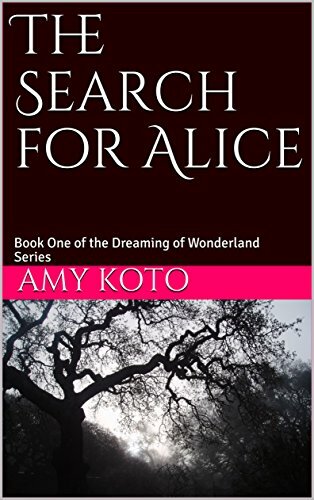 Christy initially pretends to be good to lure Billie to her side, but her childhood and innocence were corrupted long ago when she was taken, as she is unable to step away from the darkness. Billie has to ultimately kill her sister in an act of defense, which is unbelievably heart-breaking. The very idea of putting sisters against sisters is a genius move of the Triad, but they are unable to predict that Billie’s goodness combined with the Halliwell sisters is too powerful for evil to tip the scale. An upper level demon who is after great power, Zankou initially appears to be on the side of the Charmed Ones, when he teams up with them and Agent Brody to stop the Avatars. He bids the Charmed Ones adieu, but they know this is not the last they will see of him. Zankou begins to re-organize the underworld in an attempt to steal the power from the Nexus, which is beneath the Halliwell manor. He also tries to obtain the Book of Shadows, which he successfully manages to steal. Zankou stands out from other demons because he learns to anticipate their humanity, which so many other demons have failed to do in the past. He spies on them in their home and even reads Piper’s diary to get the full inside scoop on the Charmed Ones and their human emotions giving the term “know thy enemy” new meaning. This comes in handy later on when he causes the sisters to shake their bond, making the book and them vulnerable in the process. Ultimately, the Charmed Ones are able to defeat Zankou by tricking him into absorbing the power of the Nexus so that they can cast a spell to destroy it and everything else in their path, causing the Charmed Ones to fake their own deaths in the process. The Source is probably one of the scariest demons I have ever seen on Charmed. He initially cloaks his face with a dark hood, but later reveals his half-face which had been mutilated from his many battles in the past. The Source is the big bad that has been mentioned since the beginning of Charmed. Even Rex, Prue’s demonic boss, mentions that he won’t be pleased without revealing his name. The Source is always after power and is no longer interested in sharing a balance between good and evil. He even takes in the power of the Hollow, which is forbidden, to try and kill the Charmed ones. The Source is also responsible for the death of the oldest Halliwell sister, Prue. His demon for hire, Shax is the one who kills her, shattering the lives of the Halliwell family. Later, he tries to corrupt Paige to his side, but he is no match for the power of family and love. Even though The Source is beyond scary, he does take a few moments to toy with his enemy, taunting the sisters to “say hello to Prue for him.” However, this only enrages the sisters even further, using the magic of their entire ancestry line to stop him. Barbas first appeared in season one in one of my favorite episodes of all time where he appears on Friday the 13th to take out 13 witches to free himself. He reads the fears of his victims and then uses that fear against them, causing them to die from what looks like a heart attack, as their hair turns completely white from the panic and fear. The victims truly believe that their fear is coming to life, which makes him a very dangerous demon to say the least. Barbas targets the Charmed Ones and comes very close to killing Prue, preying on her fear of drowning. However, Prue is able to overcome her fear with love. Barbas is banished as he is unable to obtain the 13 witches he needs for freedom but he is never gone for good. Barbas has appeared as a recurring demon over the seasons, teaming up with other forces of evil to bring down the Charmed Ones. When the Charmed Ones go on trial, he leads the prosecution, bringing up evidence against the Charmed Ones in quite the compelling argument. When the Charmed Ones get trapped in a parallel world where everything evil is good, they have to go to Barbas as the source of all good to help them. He is clearly one of the toughest enemies for the Charmed Ones and he is quite entertaining as well in the process. It should be no surprise that my favorite villain has to be Cole Turner. Cole first appears on Charmed in season 3 and is the love interest of Phoebe. Cole reveals that he is half-demon and half-human, which causes quite the internal conflict. His demon-side, Belthazor is an upper-level demon who is absolutely terrifying. However, his human side is tall, dark, and handsome, proving to be quite the charmer and an excellent lawyer. Later in the series, Cole becomes the source of all evil, taking in the hollow to protect Phoebe and her sisters from the original source. When the sisters ask what happened to the powers of the source, the Seer says “into the void” with a knowing smile, as her plan to make Cole the new source has sprung into action. Cole cannot control the powers of the source but he refuses to give up Phoebe in the process, his love remaining true to her. He even corrupts Phoebe to darkness, tricking her into a dark wedding and impregnating her with the spawn of Satan. The Charmed Ones are able to vanquish Cole but one learns that he is never gone for too long. Cole remains trapped in limbo, collecting powers of vanquished demons along the way to become an even greater threat with more powers than the sisters thought possible. Through it all, Cole tries to continue to change for Phoebe and hold on to their love, but he ends up being his own worst enemy. In an effort to change his fate and be with Phoebe, he tries to create a new world and goes back in time. This plan back-fires, however; as he is now in a time when it was possible for him to be vanquished as Belthazor. Cole is vanquished on his 118th birthday in the 100th episode of Charmed and it seems like this one is for good. He makes a special appearance when Piper is trapped in limbo later on in season 7, however. Cole comes to her rescue and even sends Drake to Phoebe, to remind her about the importance of loving again, even though he will always be loving her just a little out of reach. Either way, Cole is my favorite villain of all time on the series, proving that villains can find love too. Unfortunately for Cole, his own inner-conflict and pride get in the way, preventing him from ever finding the happy ending he so desperately wanted for him and Phoebe. I hope you enjoyed the list and feel free to share some of your own thoughts and comments on your favorite villains from Charmed. Thanks for reading and happy viewing! Love this!!!! Cole is #1!!!!! I forgot about some of these. Will need to go back and re-watch. Yes, I have always adored Cole and loved when the actor was on Nip Tuck too!